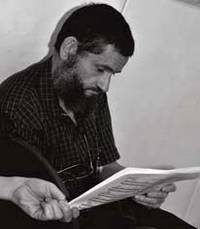 Miloš Zatkalik (1959, Serbia) is a composer and theoretician. He graduated in composition at the Faculty of Music in Belgrade with Vasilije Mokranjac and Rajko Maksimović. He continued his education attending courses in the USA and United Kingdom. He is full professor and head of the Department for Music Theory at the Faculty of Music in Belgrade, and also teaches at the Academy of Arts in Banjaluka. He gave lectures in Canada, Norway, USA, Slovenia, and Germany. Among his important works are: orechestral pieces Minas Tirit, What’s He to Hecuba, Of Saralinda, Xingu and the Duke Swallowed by Golem– a fable for large orchestra; chamaber works The Mad Carriage-Greeter from Ch’s, Lost fragmensts II, As if Nothing Had Happened; works for chamber orchestra Lost fragments, Dum incerta petimus; solo music (for flute, viola, cello, piano) and songs with piano accompaniment. His pieces were performed in Germany, Spain, Russia, Canada, USA, and Germany. He published papers in national and international journals and magazines, dealing with different areas, such as relations between music and literature/linguistics, the analysis of twentieth century music and psychoanalytical foundation of music analysis. He is the author of the first Serbian music analysis textbook in electronic form. Zatkalik is the member of the Managing Board of Serbian Composers Association and the member of the Jury for the Mokranjac Award. He has also graduated in English language and literature from the Faculty of Philology in Belgrade. Reduced almost to the haiku form, and as though carved in stone, the poem by Momčilo Nastasijević – perhaps in a better but indisputably in a more succinct way than anything I know – portrays the very core of the relationships that permeate the world: here, there, today, always etc. Those twenty words and some thirty syllables have all but become my obsession, and this is the third time I have turned to them as a composer (fourth, if we also count one adaptation). One motif from the music of ancient Greece is used, so the English horn in this context can perhaps be heard as the aulos. In one instance I used the quotation from my second composition on the same poem. In both cases, those are just facts relating to the technique of writing a composition and the listener shouldn’t think about them.